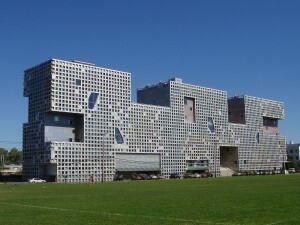 Massachusetts Institute of Technology (MIT) is a very popular research university. It is located in Cambridge, Massachusetts. 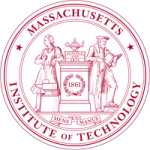 The Massachusetts Institute of Technology was founded in 1861 and has five schools and one college, containing a total of 32 academic departments. MIT is a private university and has been accredited by the New England Association of Schools and Colleges since 1929. The current campus is 168 acres and extends over one mile along the Charles River Basin. The school has a very strong emphasis on science, engineering, and applied technology-based education. The school is highly residential with the majority of enrollments in graduate and professional programs. 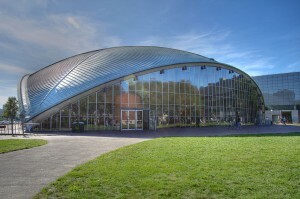 Massachusetts Institute of Technology enrolled 4,384 undergraduates and 6,510 graduate students for the 2011–2012 school year. The acceptance rate for students that year was just under 9%. The school employs over 1,000 faculty members to teach students hands-on education. Undergraduate degrees include Bachelor of Science, Arts, Humanities, Social Sciences and more. The School of Engineering is the most popular division at MIT. The largest undergraduate degree programs in 2012 were in Electrical Engineering and Computer Science, Mechanical Engineering, Physics and Mathematics. All undergraduate students must complete a core curriculum which is referred to as the General Institute Requirements. Undergraduate students may feel overwhelmed with their rigorous course load, but the grading system may work in their favour. It only showcases a pass or no record. 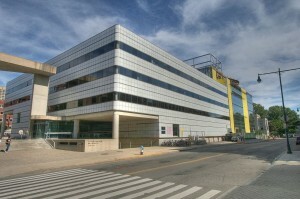 MIT offers many different graduate programs and comprehensive doctoral programs. Graduate, doctoral programs and professional degrees include Masters of Science, Engineering Degrees, Doctor of Science, Doctor of Philosophy. Master of City Planning, Master of Science and more. Over 90% of doctoral students are supported by research and teaching assistants for extra help and guidance in their studies. MIT has helped to influence and shape the digital age using modern network and computing technologies. Computer Science and engineering has played a major role in the school’s history and will continue to in the future. The school also uses open source and open access movements, inspiring the school to launch its own software called OpenCourseWare which makes lecture notes, syllabuses, exams available online free of charge. Massachusetts Institute of Learning aims to make learning possible for all those who qualify and tries to accommodate many students through financial aid. Currently 62% of students receive some sort of need-based financial aid through scholarships, grants and external sources which averages $38,964 per student. MIT awarded $87.6 million in scholarships and grants, with the vast majority coming from institutional support. Undergraduate tuition and fees total $40,732. Tuition and academics can be a source of worry for many students, so MIT as a whole has tried to minimize this stress through grants and financial support. Massachusetts Institute of Learning has a beautiful 168 acre campus that is located in the city of Cambridge along the Charles River Basin. 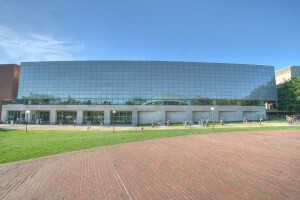 There are many high tech companies surrounding the campus, many of which provide as research and cooperative placement opportunities for students. MIT also has an on-campus nuclear reactor, which is one of the most powerful university-based reactors in the United States. The school also has a campus wide wireless network that consists of nearly 3000 access points. The MIT library system consists of five libraries, each dedicated to a different field of study. Undergraduate students are guaranteed four-year housing in one of MIT’s 12 undergraduate dormitories for student housing. There are over 380 recognized student activity groups and organizations available at MIT. These groups include the student radio station, newspaper and film club. There are also fewer traditional clubs available, including model railroad club, folk dance, gardening and more. For those looking to make a difference, MIT offers over 50 educational outreach and public service programs through the MIT Museum, MIT Public Service Center and Edgerton Center. The Independent Activities Period is a four-week long “term”. During this term students can participate in a wide variety of optional classes, lectures and other activities. . This period also allows students to participate in externships abroad at companies that interest them. The student athletics program at MIT is one of the largest sports programs offered at a school in the United States. MIT participates in the NCAA’s Division III, the New England Football Conference and more. The school has beautiful athletic facilities including Zesiger Sports and Fitness Center which houses a two-story fitness center as well as swimming and diving pools. Massachusetts Institute of Technology sports teams are called the Engineers and their mascot is the beaver, who is known to be nature’s engineer. Many of MIT’s graduates contribute the school with a lot of their accomplishments. MIT graduates have had success in many different fields including scientific research, public service, business and engineering. MIT alumni founded or co-founded many notable companies including; Intel, McDonnell Douglas, Qualcomm, Bose, Rockwell International, Dropbox, and Campbell Soup. Many learning facilities have been led by MIT alumni including the University of California System, John Hopkins University and Harvard University.